The Keystone Development Center recognizes that successful business development requires partnerships and that all relevant voices need to be included as early in the process as possible. We seek the advice, participation, expertise, and assistance of representatives of business, industry, educational institutions, and the federal government along with state and local governments. Each relationship is unique. KDC has an active and fruitful working relationship with a variety of organizations. Our governance partners have been involved with the organization and development of KDC. Representatives from these organizations have played a significant role in the success of KDC. The Adams Electric Cooperative’s support was critical in KDC opening its doors for business as the co-op donated the office space in York, PA for our headquarters. They continue to donate this space as an in-kind contribution. An Adams Cooperative representative is on our Board of Directors, helping to guide the development of our organization. The State Departments of Agriculture including the Pennsylvania Department of Agriculture (PDA) and the New Jersey Department of Agriculture have supported KDC in various forms. PDA helped found KDC and each year contributes support in the form of resources from their various programs, staff time, and conference facilities. PDA and NJDA are an important source of clients for KDC as many times they are the first point of contact for a group wanting to form a cooperative. We have a representative from PDA on our Board of Directors. The Pennsylvania Farmers Union (PFU) was part of the original KDC-founding group of organizations. Several representatives from PFU have been on the board including the current Executive Director. In the past KDC and PFU have shared several projects surrounding forestry and forest-based cooperatives. Maryland Agricultural & Resource-Based Industry Development Corporation (MARBIDCO) is a KDC partner with the Executive Director on the KDC Board of Directors. In the past, KDC has collaborated on workshops related to cooperative development and have been referred to clients in need of our services. Each client project has an appropriate configuration of partners and advisors who assist with organizational development, technical needs, and resource acquisition. Partners include organizations such as the Pennsylvania Association for Sustainable Agriculture (PASA), Resource Conservation and Development Districts, and University Extensions. The Pennsylvania Resources Council is a partner in a project to establish a network of composting cooperatives in the southwest part of Pennsylvania. Nearly 50 farmers initially expressed interest in a joint composting project with waste generators in the Pittsburgh area. This has since settled into 5 to 7 farms with a keen interest. KDC is providing feasibility and organizational support to the project. Rutgers Extension in Ocean County is our partner on the development of a shellfish marketing cooperative. Eight to ten clam and oyster farmers in New Jersey are beginning the development of a marketing cooperative for their products. KDC is providing technical assistance to the group in the form of a logistics study, support on a survey of the industry, and a feasibility study. The Blair County Conservation District is working with KDC on a feasibility study for a year round farmers market in Altoona, PA. We are collaborating on a survey of potential customers and will do a full feasibility study for the group. MidAtlantic Food Cooperative Alliance (MAFCA) - MAFCA is the beginning of what is hoped to be a federated cooperative of food cooperatives in the MidAtlantic area. KDC has been instrumental in the formation of the organization. The group continues to meet and currently has 30 member cooperatives. Within the organization are 12 start-up efforts, most of whom KDC has been advising throughout their start-up process. Current estimates are that the members of MAFCA are already purchasing $16 million annually in local products. KDC continues to provide a local facilitator to assist with the organizational development. As a leader in the field, KDC is always working with other practitioners to identify and propagate best practices. In addition to business development, KDC provides leadership among cooperative developers through Cooperation Works, a national network of cooperative developers. KDC staff have served as board members, officers, and trainers in the professional development program as our contribution to national leadership. National Cooperative Business Association CLUSA International (NCBA CLUSA) was founded in 1916, the National Cooperative Business Association, is the oldest not-for-profit cooperative development and trade association in the United States, fostering cooperative and international economic and social development in the United States and abroad. 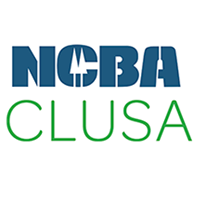 Their mission is to develop, advance, and protect cooperative enterprise; NCBA's work highlights the impact that cooperatives have in the economic success of communities around the world. Internationally, their mission is to alleviate poverty through economic and social empowerment. Our principal funding source is the Rural Cooperative Development Grant (RCDG). Through this grant we are able to fund and staff a business-development center focused on cooperative businesses. Start-up cooperative groups are our primary clients. In many cases, our technical support is provided pro bono. In the cases when it is not, we have a fee-for-service capacity. When a client is fee-for-service, the eligibility restrictions that follow the RCDG do not apply. In 2016, KDC was once again the recipient of a Rural Cooperative Development Grant. The grant will be used to facilitate the creation or retention of jobs in rural areas through the development of new rural cooperatives, value-added processing, and rural businesses. The RCDG grant allows KDC to leverage additional funding from other sources. 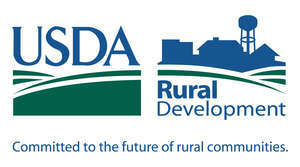 The Rural Technology and Cooperative Development Grant Program (RTCDG) was authorized by section 210B(f) through (h) of the Consolidated Farm and Rural Development Act (7 U.S.C. 1932 Act.). The Federal Agriculture Improvement and Reform Act (FAIR) of 1996, P.L. 104- 127, removed "technology" from RTCDG, thereby directing the focus of the program specifically to cooperative development. The FAIR Act also modified application requirements and selective criteria. The final rule for Rural Cooperative Development Grant (RCDG) program was published August 7, 1997 (62- FR 42385-91). The RCDG program is administered by Cooperative Services, Rural Business Cooperative Service. Eligible applicants are nonprofit corporations including institutions of higher education. Applications are solicited annually and scored according to defined selection criteria.